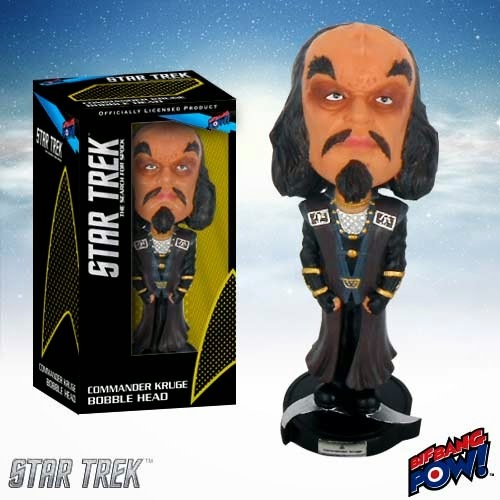 Get your Star Trek III: The Search for Spock Commander KrugeBobble Head right here! In 7-inch scale on a Star Trek-themed base, it's fashioned of resin and presents Commander Kruge from Star Trek III: The Search for Spock in all his Klingon glory. Order yours right away! Order your Star TrekIII: The Search for Spock Commander Kruge Bobble Head from Entertainment Earth Today!